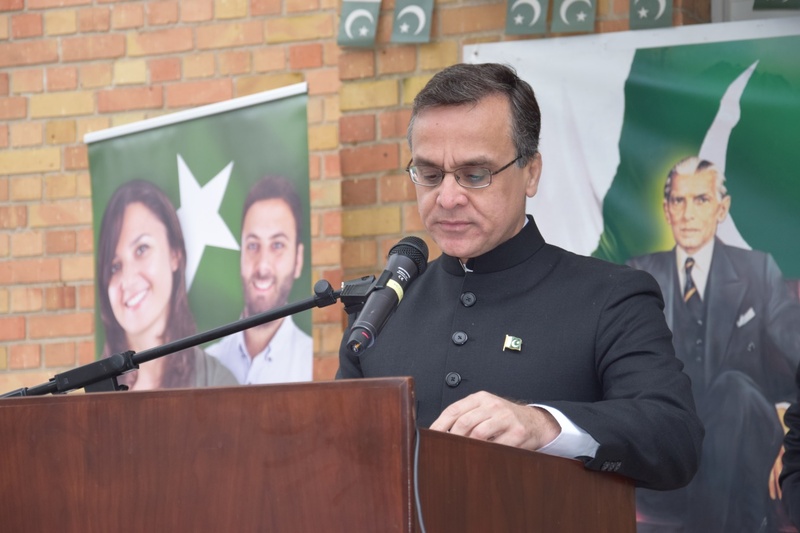 To commemorate the 79th anniversary of Pakistan Resolution a flag hoisting ceremony took place at the Embassy of Pakistan Brussels, here, today. 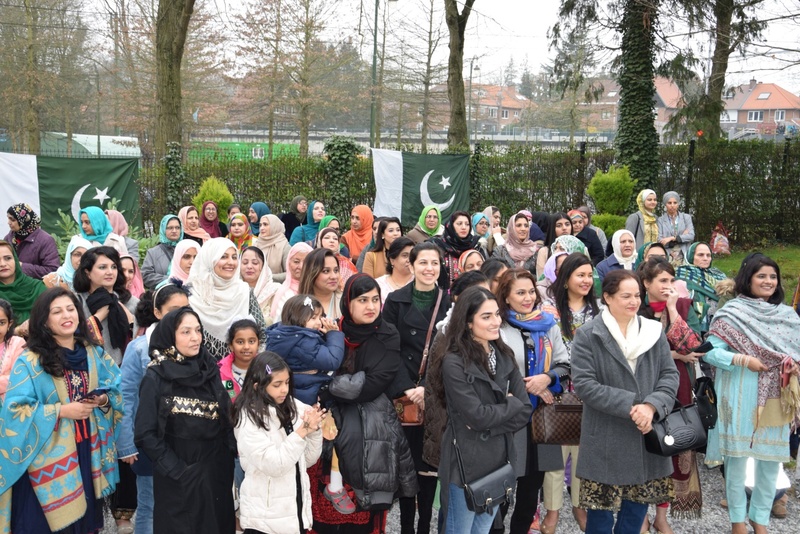 A large number of participants from Pakistani diaspora in various cities of Belgium and Luxembourg gathered at the Embassy to celebrate the event with full fervour. 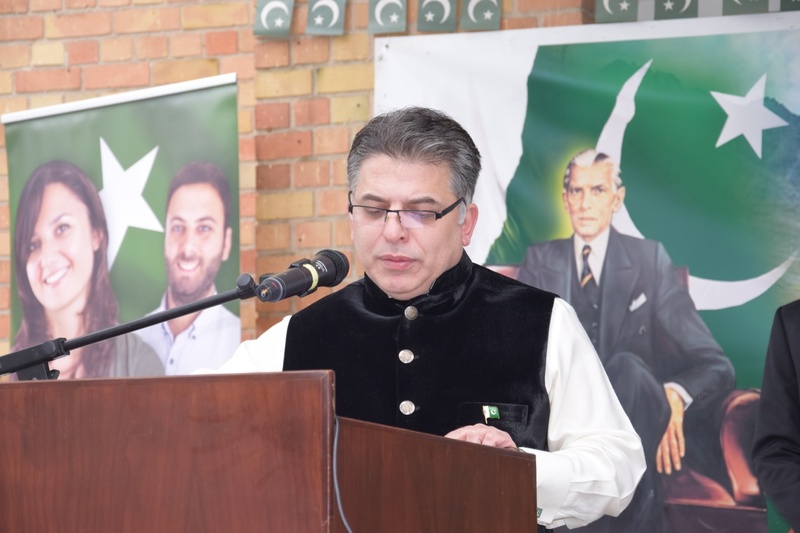 Messages of President and Prime Minister of Pakistan were read out by the Economic Minister Mr. Omar Hameed and Deputy Head of Mission Mr. Asif Hussain Memon respectively. Prayers were also offered for the martyrs of terrorists’ attacks in New Zealand and also the Kashmiri people who lost their lives in struggle against Indian Forces of Occupation. Children sang national songs. 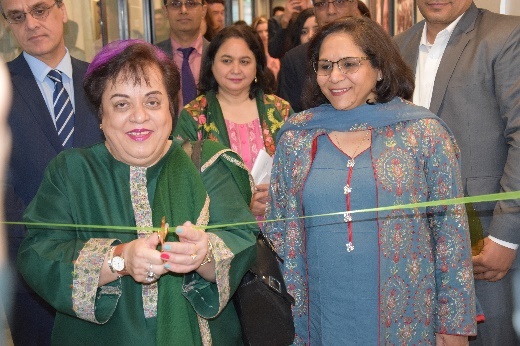 This year an art competition on the icons of Pakistan was also organized for the children. Certificates and prizes were distributed to the participants by the DHM and Pakistan’s Honorary Consul General in Ghent Ms. Karin Zoeter. 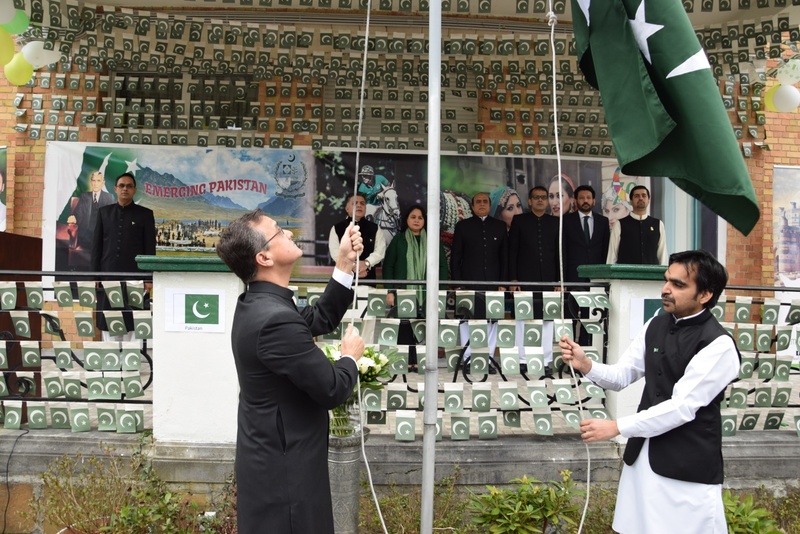 The Deputy Head of Mission and Acting Ambassador Mr Asif Hussain Memon raising the flag of Pakistan at the Flag Hoisting Ceremony at the Embassy of Pakistan Brussels 23.03.2019. 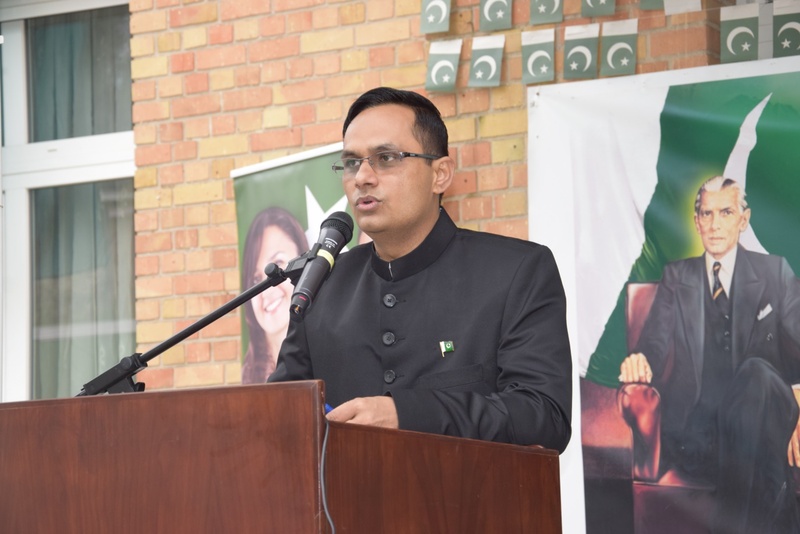 The Deputy Head of Mission and Acting Ambassador Mr Asif Hussain Memon, Economic Minster Mr. Omar Hameed and Head of Chancary Mr. Giyan Chand addressing the Pakistani diaspora at the Flag Hoisting Ceremony in the Embassy of Pakistan Brussels 23.03.2019. 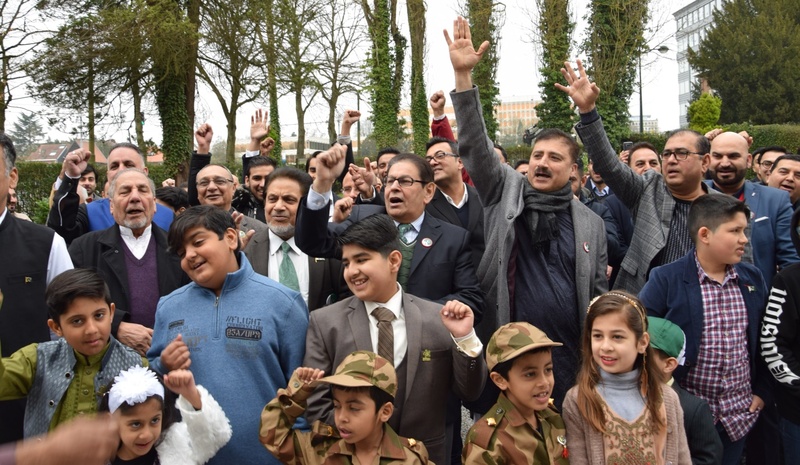 Participants at the Flag Hoisting Ceremony at the Embassy of Pakistan Brussels. 23. 03.2019. Participants at the Flag Hoisting Ceremony at the Embassy of Pakistan Brussels 23. 03.2019.